Designing memorable experiences by combining experience design with gamification. Tourists’ expectations are increasingly complex and sophisticated. They are seeking meaningful and more stimulating experiences from tourism providers. 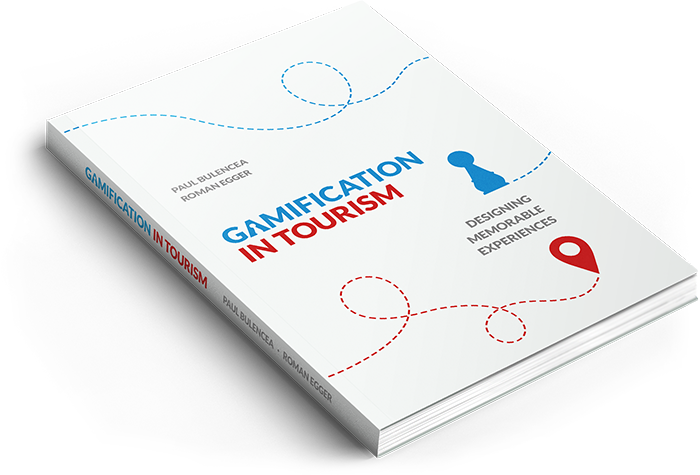 By combining Gamification with Experience Design the Gamification in Tourism book provides a comprehensive and novel approach on how to design such experiences. This should help tourism providers shift their thinking as to what they can offer in order to cater to the new needs of their guests. Also, the Memorable Experience Design Framework conceptualised in the book, can be of help to everyone that aims to design memorable experiences. The book is structured in two parts. The first part conceptualises the Memorable Experience Design (MED) Framework. The Framework is a practical model that shows how you how to use game design thinking to stage memorable experiences in tourism or any other industry. The second part displays more than fifty examples and mini-cases of how the how the Framework is applied in tourism. The book concludes that knowing how to design memorable experiences is pivotal to understanding and conceptualising the future of tourism experiences. This knowledge might lead to having the necessary know-how to deliver the next type of economic offering: guiding guest positive transformation. 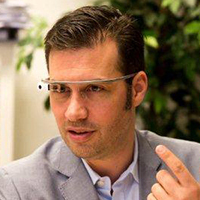 Since he published the book Gamification in Tourism: How to Design Memorable Experiences in 2015, Paul Bulencea has lectured about, designed or implemented memorable experiences in more than ten countries around the globe. Following his vision to help organizations step into the Experience Economy, he has recently co-founded The College of Extraordinary Experiences together with Claus Raasted (creator The College of Wizardry), Mark Ordesky (executive producer The Lord of the Rings), Jane Fleming (creator The Quest – Reality TV series) and B. Joseph Pine II (co-author The Experience Economy). Is a professor and divisional director of eTourism at the Department of Innovation and Management in Tourism at the Salzburg University of Applied Sciences. He serves as an advisor to a number of national and international projects that relate to Information Technologies in Tourism and is a consultant for eTourism-development activities. He has written and co-edited fifteen books, published a number of articles in books and journals and is co-editor of the scientific Journal “Zeitschrift für Tourismuswissenschaft”. He is a member of the International Federation of Information Technology for Travel and Tourism (IFITT), ÖGAF, DGOF, DGT and AIEST. Want to learn more about memorable experience design and gamification? Sign up for our newsletter and stay updated with events, giveaways and the ocasional news piece. No spam from us, we promise! You can contact Paul Bulencea at paul.bulencea@gmail.com or Twitter. 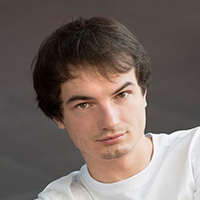 Roman Egger is available at roman.egger@fh-salzburg.ac.at or Twitter. For Gamification in Tourism examples visit our blog.